#VivantSkinCare Are you playing beat the clock with aging like I am? I've tried many eye creams along the way and really like this one. 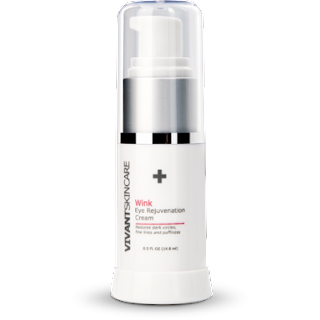 Wink Eye Rejuvenation Cream has a great combination of ingredients to battle the war on aging. It contains Vitamin A propionate, peptides, hyaluronic acid,and kojic acid. This combination of ingredients helps soften fine lines, brighten dark circles, reduce puffiness,giving your eyes a youthful appearance. Just apply daily, and with extended use the results are even better. And a little goes a long way, so it's a good value too. I received this product for free in exchange for an honest unbiased review..